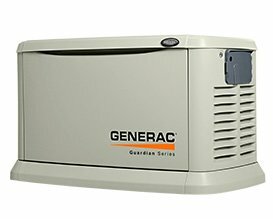 A Georgia generator installation has become a necessity as the weather turns more unpredictable every year. Natural disasters can happen almost anywhere in the world. When hurricanes, tornadoes and ice storms strike one of the first things to go are the power lines, and life turns to misery. 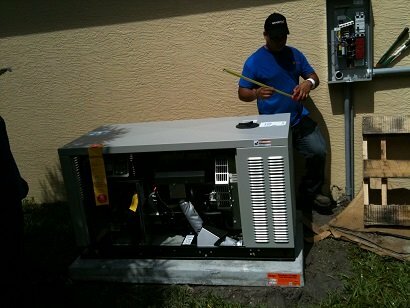 RCS Electrical Services is your expert standby generator installation solution provider. We are specialists, selling, installing and servicing all the best brands of generators. We are certified by Generac, Centurion, Kohler, Briggs and Stratton, GE and others. Contact us now if you are in need of service, installation, or repair. A Georgia generator installation will avoid all these inconveniences, and afford you the protection you need in a time of emergency. RCS Electrical Services offers a complete solution for your Georgia generator installation. We handle the entire project, so that you have peace of mind in the knowledge that you have a single point of contact for all questions and concerns. Don't be deceived by fast talking salesmen that only talk to you on the phone, and only want to give you a price. Each generator installation has its own set of unique circumstances, and needs to be individually evaluated. There is no cookie cutter approach to doing this work. The geography and topology of your property, together with your own individual way of using energy, coupled with the way your electrical service was initially installed when your house of building was constructed, create a unique set of challenges for each installation. A salesman simple can not just give a price over the phone and and have you think that he has created a custom solution for you. Your Georgia generator installation experts need to know your current electrical load or usage. This information is used to size a generator that can provide the amount of power you need. In order to do this, you must submit some information related to the size of your home or building, your current electrical equipment, and a list of your small appliances. A generator that is too big for your application will penalize you twice. Once with a higher up front cost for the equipment, materials and installation cost. An oversized generator will penalize your for its entire service life, levying higher running cost in terms of fuel consumption and maintenance. When you ask us to do your project, you can be assured that we don't take the fact that you chose us lightly. We will work for you employing the best techniques, materials, parts and equipment so that your installation has the quality you and your family deserve and expect from a generator installation professional. Our technicians think of each other as being part of a family here at RCS Electrical Services. When we give you a completed project, is like you are also joining our own family, as we will continue to service your generator in the future. Not only you get a professional Georgia generator installation, but we do it in a way that shows that we care, and that your family well being matters greatly to us. Your generator installation comes with world class customer services. RCS Electrical Services has done generator installation for two major national retail stores; The Home Depot, and Lowe's. During the time that we installed for these stores, we interacted with many different customers. By having this daily interactions, we learned valuable lessons in customer services. Contact us when you are ready for your Georgia generator installation.